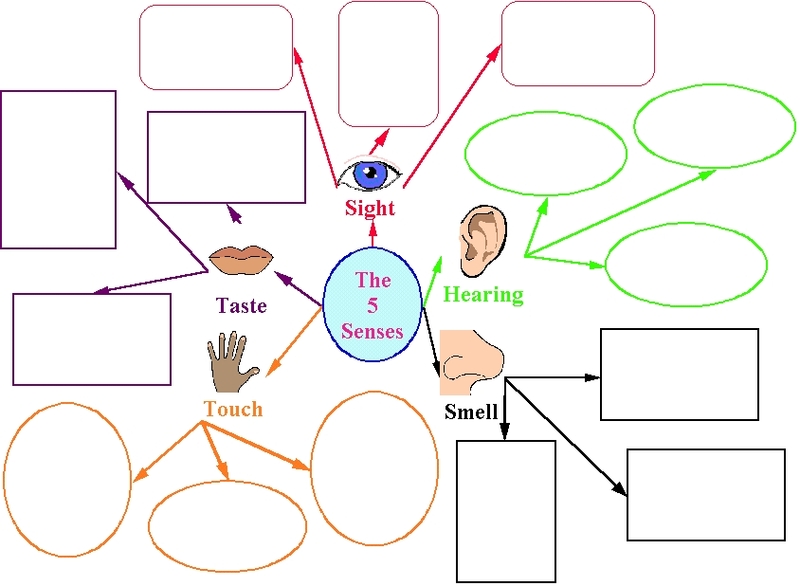 To assess students understanding of the five senses and what each sense organ is used for. 1. Handout graphic organizer. Have students write their names on the back. 2. Describe the graphic organizer and how it works. 3. Tell students they are going to show everyone that they know what each sense organ does by filling in the empty shapes with 3 items that can be examined with the sense it is connected to. They may write, draw, or cut out pictures from magazines to fill in the shapes. 4. When students are finished have them share their work with another student and then hand it in. When they hand it in have them discuss it with you.